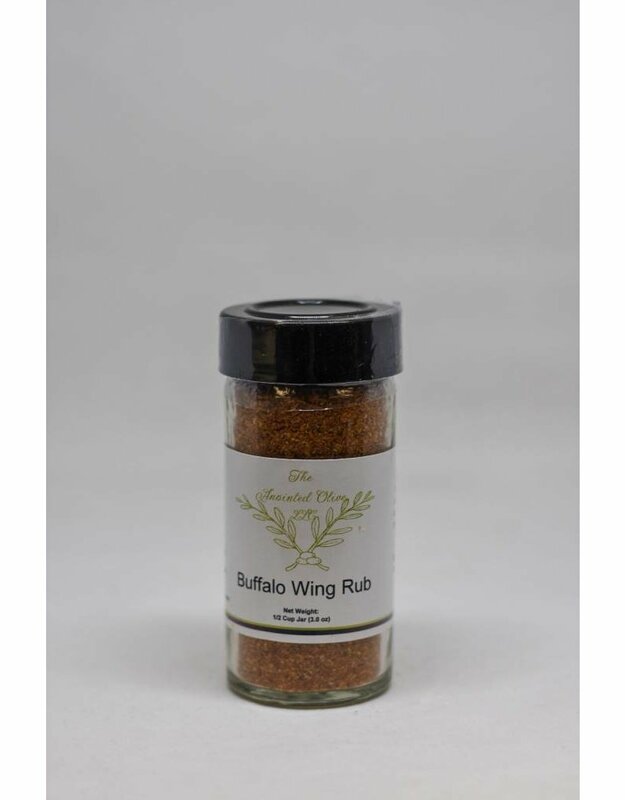 A quick and easy buffalo wing recipe - take 2 lbsof chicken wings and cut off the wing tips. Cut the wings at the joint for two separate pieces. 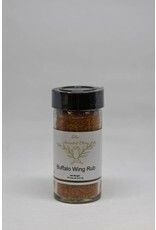 Use 4-6 tablespoons of wing seasoning and evenly coat both sides of all the wings. Be sure to work the mixture into the meat with your hands. Place the wings in several large ziplockbags and refrigerate for 2-4 hours (the longer you refrigerate the more the seasoning works it way all the way through the meat). Place the wings on a broiler pan rank and cook 5-6 inches from the heat for 9-10 minutes per side or until the chicken is cooked all the way through (no longer pink). Remove the chicken wings from the oven and sprinkle a bit more seasoning on for additional flavor. 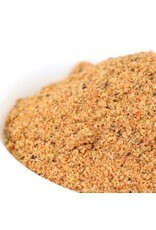 This Buffalo style dry rub has a nice balance of sweet from the brown sugar with some subtle nuanced heat from the chili powder, smoked paprika and habanero. For a quick dip mix 1/2 cup low fat sour cream, 1/2 cup low fat mayo, 2/3 cup of crumbled blue cheese and 1 tablespoon of white wine. Vegetables are optional. 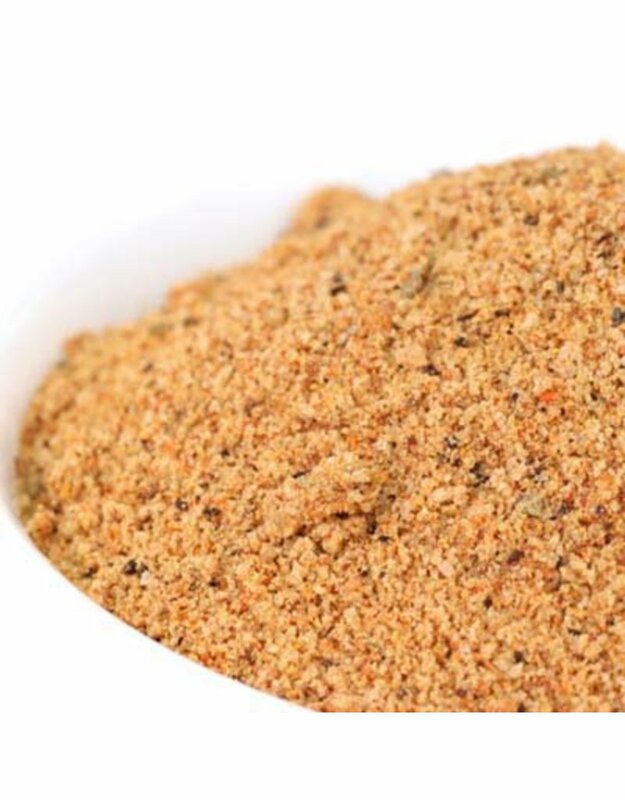 Serving Size 1 Teaspoon, Amount Per Serving: Calories 10, Total Fat 0g (0% DV), Sat. Fat 0g (0% DV), Trans Fat 0g (0% DV), Cholest. 0mg (0% DV), Sodium 135mg (6% DV), Total Carb.2g (1% DV), Dietary Fiber 0g (1% DV), Sugars 2g, Protein 0g (0% DV), Vitamin D 0mcg (0% DV), Calcium 6.5mcg (0% DV), Iron 0.234mg (2% DV), Potassium 1010mg (20% DV) Percent Daily Values DV) are based on a 2,000 calorie diet.